So what's cool about Agri-Business? It takes more than farmers to feed a country. This is the thinking behind agri-business, so career options in this field go beyond farming. They are more diverse than you might think; supporting our nation's thrust towards developing a modern, sustainable, and competitive agriculture sector. In agri-business, there are incredible opportunities that go beyond traditional farming and livestock rearing. They allow you to be creative, to explore new challenges, and to sometimes even, boldly go where no man has gone before! Agri-business gives you the challenge to pursue niche job markets and fill the gap in areas starved for young, inventive talent. It gives you the chance to grow as a professional and have a rewarding livelihood. By being part of the system that delivers food to the nation on a daily basis, you help reduce poverty and eradicate hunger. You contribute in a real way to the lives of your fellowman and to the development of your country. In fact, you are a champion for National Food and Nutrition Security! Whether you want a hands-on job in the field, a position that allows you to travel across the country, or even an analytical job in a lab, agriculture has a career path that's right for you. Specializes in fish, food crop or livestock production. Oversees large-scale operations and keeps records on all operation and marketing processes. Responsible for ensuring that the operation is run efficiently and that a high percentage of the eggs hatch. Plans, organizes, and directs the activities of nursery and seedling operations. Head of fishing vessel, responsible for navigation and overall fishing operations at sea. Catches fish for a living or sport. Stores and sells fish, wholesale or retail. Studies and researches marine plants, animals or other organisms and their interaction with the environment. Collects immature eggs from cow ovaries to be matured and fertilized artificially. Makes field visits to farms in various agricultural sub-sectors; collect statistics on current actfvities; advise farmers on latest technologies and trends, to ensure profitability and to conserve the environment; provides project support for farmers with problems. Practices forestry and may engage in activities like timber harvesting, ecological restoration and management of protected areas. A doctor who specializes in animal health. Advises, trains and monitors adherence to standards for food security in farm and agri-business operations. Facilitates certification and development of standards for food safety for the entire food chain, from farm to plate. Practices engineering specific to agri-business projects. 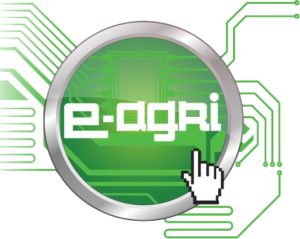 Collects prices and other agricultural data for a select group of commodities; data may be used for pricing commodities on wholesale and retail markets or for making organizational decisions. Responsible for the sale of fresh or processed agricultural products and by-products to wholesale and retail markets. Provides essential supplies to farming operations like seeds, chemicals and equipment. Applies a range of techniques to produce new and improved varieties of plants or animals important for food production. Studies, interprets, and diagnoses diseases and abnormalities of plants/ animals/ fish. Studies the distribution, fertility, chemical and organic composition of soil to assist farmers to maximize productivity and profitability. Also advises on irrigation. Instruct students in the basics of the science of agriculture at school and at university levels. Oversees the domestic and international marketing of products and services produced and/or distributed by an agri-enterprise. Plans policies and strategies for the growth and development of the overall agricultural sector. May plan short and long-term agricultural programmes, especially those in education and production. Plans policies and strategies for the growth and development of the overall agricultural sector. Assesses agri-business projects for technical feasibility and financial viability and monitors projects for appropriate implementation.